With 75 years in the business and an average of over 20 years experience per Paper and Envelope Specialist, we add measurable value to the planning, selection, ordering and delivery of each customer project. 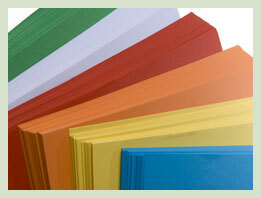 In many cases, we can save our clients significant costs by guiding them through their paper and envelope selection. Our goal is to provide the right paper for the right job at the right price! At Paper Mart, we aggressively promote seminars and training programs for our employees and customers. We continue to set new industry standards by providing the most innovative selection of paper and products aligning with today’s technology. We are active leaders in our industry trade organizations, ensuring our ongoing access to the latest printing technology and information. In short, we know paper. We stock all products in our 200,000 sq ft warehouse facility, ensuring in-stock availability, fast order turnaround, overnight delivery, and competitive pricing.